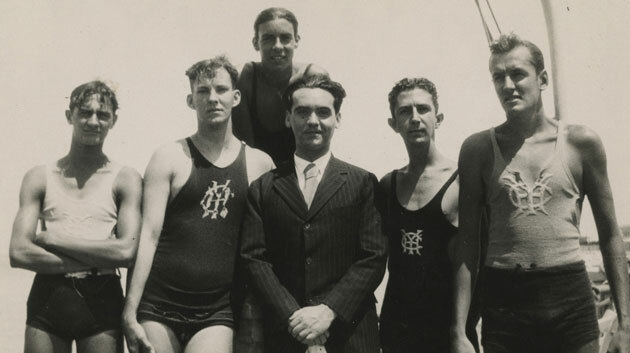 BONES OF CONTENTION is the first nonfiction feature film to explore the theme of historical memory in Spain, focusing on the repression of lesbians and gays under Franquismo and Spain's most famous poet, Federico Garcia Lorca. Lining the roads of Spain, masked by miles and miles of pine trees, are unmarked graves in which over a hundred twenty thousand victims of the Franco regime are buried. Today the families of the desaparecidos lead a grassroots effort to uncover and identify the bones of their loved ones, despite opposition from the Spanish government. Invisible to the eye but hyper-visible in the mind, these mass graves of Spain's missing persons are an apt metaphor for the historical memory conundrum. How does a country excavate a past that is actively suppressed? The film weaves together two strands, the historical memory movement's campaign to uncover the past, and the search for the hidden lives of lesbians and gays under Franco. These strands are connected through the figure of Lorca, who was killed by a right-wing firing squad in the first few weeks of the Spanish Civil War. The mystery of his missing remains and the debates over their significance provide the narrative spine of the documentary, as he has become the symbol today for both the historical memory movement and the LGBT movement.